Water, water, water! Last summer we learned a lot about the power of water on our farm. Still reeling from last summer, I found that, in his new book Restoration Agriculture, Mark Shepard argues that the first step in making long-term plans for a farm is understanding how water enters, moves through and leaves a farm using the principals of P.A. Yeomans’ ‘Keyline Design‘. 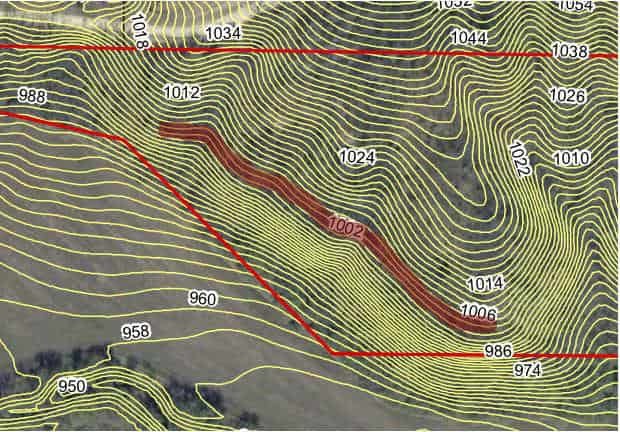 With this in mind I ordered a 2-foot contour map from the friendly folks at Goodhue County GIS (Geographic Information Systems). 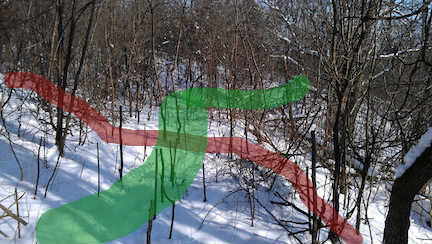 I went looking for this path and sure enough, though the prickly ash and buckthorn had well established, with the leaves down in winter it was clear as could be! 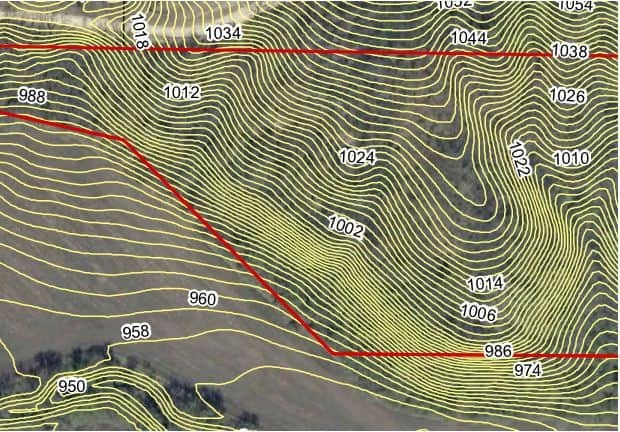 Yeomans suggests that contours such as this can be significant both in terms of water flow and the layout of the farm often being useful for roads, windbreaks or fences. With a bit of clearing work, this will provide a natural way to get Doris (the electric UTV) into these woods for hauling brush or other tasks. Down the line this could be a path for critters or people moving from one part of the farm to another. I’m excited because it looks like a relatively small amount of effort can yield significant access to parts of the farm that have been sealed off by a Sleeping Beauty hedge of prickly ash! Here’s hoping I can wrap my head around the best use of this discovery! Looking good man. 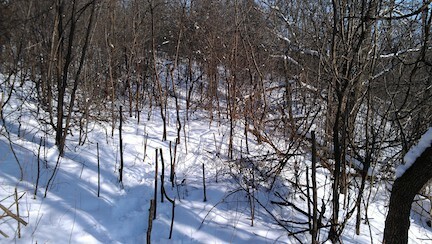 If your looking for more ideas involving savanna food forest and permaculture, check out Sepp Hozler’s Permaculture. Comparable to Restoration Ag yet from a different persona.